‘GFriend’ Eunha has made the members embarrassed by the cute award acceptance speech. 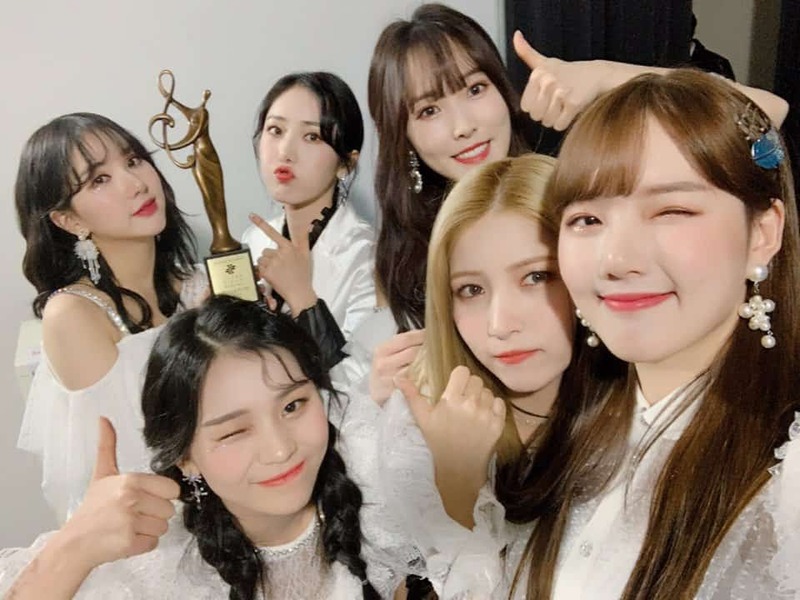 GFriend was awarded a dance performance prize at ‘The 28th Seoul Music Award” held at Goguryeo Sky Dome, Seoul on the 15th. After the leader’s wish, Eunha stood in front of the microphone. But seems like it’s a littile bit higher than her height so it made her run about in confusion. With wild abandon, Eunha started her award acceptance speech. At first, she said thanks to the staffs. And it was when she said a greeting to the fans. “We must, must do our best to make sure that Buddy (Fanclub name) and many people will be satisfied. “– she said. She applied their new song ‘Must’ name in a speech. The members who watched that moment were bursted into laugh. Jerin coverd her face with a smile. While Sowon turned around to laugh and returned to her place. There are some fan’s response “Maybe the members felt very sympathy”, “Oh my Gosh she is so cute” and so on. Meanwhile, GFriend has just released ‘Time For Us’ on the 14th.